Dr. Alexander Delgadillo graduated from the University of Illinois College of Medicine. He pursued his residency in Internal Medicine and a fellowship in Pulmonary Disease at the Edward Hines Jr VA Hospital. He is a board certified pulmonologist and has been practicing for more than two decades. 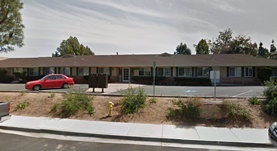 Dr. Delgadillo is based in Fallbrook, California and is associated with the Fallbrook Medical Center.